The executive of The Royal Canadian Legion, Branch 005 “The Liberation of The Netherlands’ is convinced that we in the long run cannot survive without some form of financial assistance. Branch 005 also is aware that when a company or organization financially supports us we can offer no proportionate reward. But we have recently been awarded the so-called ANBI status by the Dutch Tax Authority. This is the guarantee for people who provide us with donations that their generosity to us is tax deductible. Furthermore Branch 005 of the Royal Canadian Legion has been awarded with the stature of: “Cultureel Erfgoed” which of course means as much as “Valuable Cultural Heritage”. Because one is aware that Branch 005 Royal Canadian Legion is a well-organized club. Because one is aware that the work done by the members of The Royal Canadian Legion is valuable and that it must not be lost. 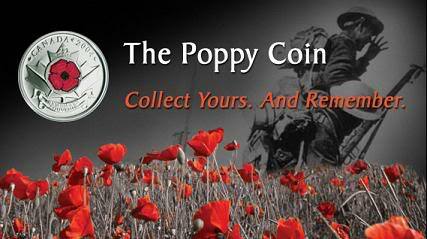 Because one wishes to thank and motivate the members of The Royal Canadian Legion for their work. Because one wishes to connect the name of their company or organization to that of The Royal Canadian Legion. Because one understands that without financial support the existence of Branch 005 of The Royal Canadian Legion is at risk. Because the heart and soul of the company lies close to the values of The Royal Canadian Legion. Because Branch 005 of the Royal Canadian Legion believes that financial support and implementation of the Legion’s work is an unbreakable circle. This works both ways. If you proceed with a financial support Branch 005 of The Royal Canadian Legion will do everything it can to promote your company to the public through our website and magazine.